This is one of my favorite salads to make as a side dish or even a main meal. Its filling because of the quinoa and you also get a rainbow of different vegetables. 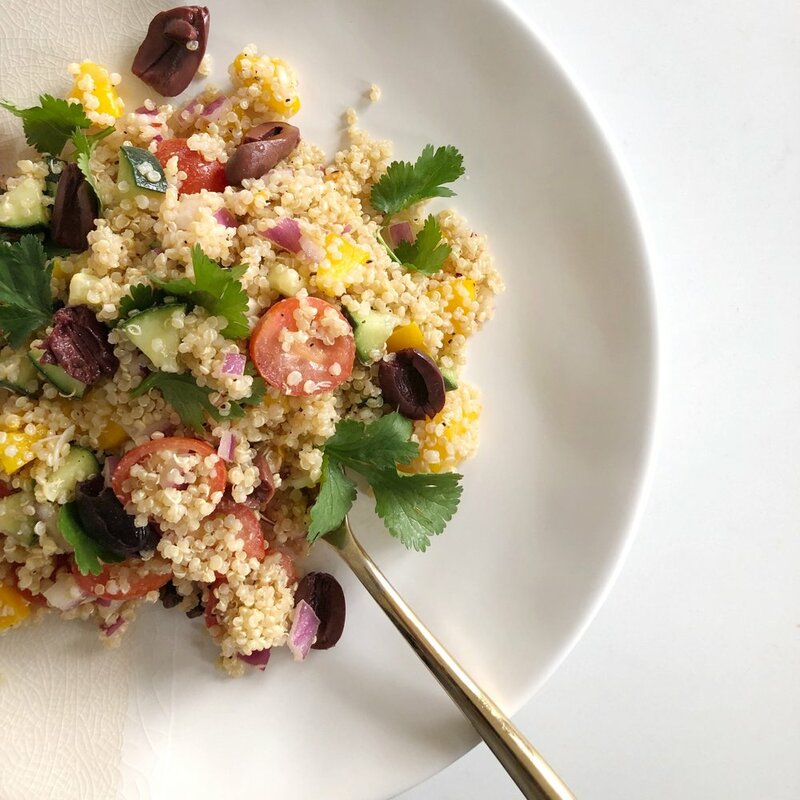 It’s one of the simplest salads that I love to eat all year round, but it definitely makes me feel all summery. This is also a great salad that you can make ahead or make a big batch of and have it for a few days.